View More In Serving Bowls & Tureens. Impress your guests! 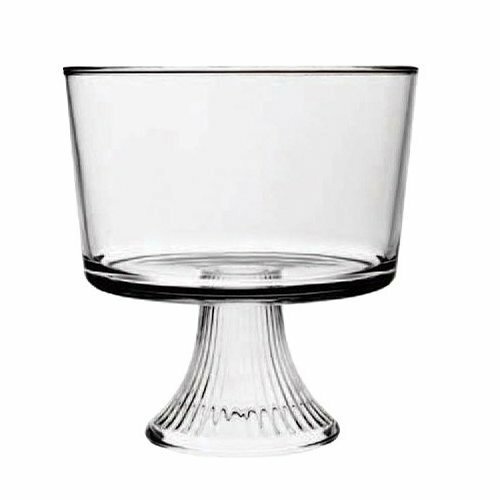 Make a delicious Trifle Dessert in this clear glass Anchor Hocking Trifle Dish. Measures 8.37-inches in length, 8.37-inches in width and 9-inches in height. Anchor Hocking manufactures and markets a vast array of quality products for the home. Anchor Hocking is best known for their high quality glass tabletop and bakeware products manufactured in the USA since 1905.